With nearly 3,000 four-year colleges and universities in the U.S. higher education market—many in difficult financial straits—analysts, policymakers, and college administrators are anticipating an uptick in mergers and consolidations. In a recent policy paper, Jeff Selingo advanced a novel alternative: a "Networked University" framework by which colleges in separate geographic markets work together to scale new academic offerings, unified branding, and back-office savings. Some institutions, of course, have already gone directly to merger: The University System of Georgia, for instance, consolidated several campuses and leveraged centralized services to improve student persistence. In Boston, the Berklee College of Music and the Boston Conservatory benefited from complementary program and a shared vision to merge into a single performing arts school. But mergers have distinct hurdles, not the least of which is that the decision makers advancing the consolidated institution—presidents, boards, and senior administrators—are the same individuals who stand to lose the most. What’s more, cost savings do not always materialize. Dartmouth economist Lauren Russell, in a first-of-its-kind longitudinal working paper on U.S. college mergers, has found no evidence that cost savings are necessarily associated with institutional merger. Instead, she found that merging runs the risk of increasing student costs: For institutions that merge locally, evidence suggests that the resulting decrease in competition can be associated with a corresponding increase in the pricing power of the merged entity. This is of particular concern at a time when educational equity and access are hampered by rising tuition prices. In The Networked University: Building Alliances for Innovation in Higher Education, Selingo outlines a different approach. These networks would involve universities united not by geography but by a common need or goal. It could be Title IX enforcement or providing critical languages or acquiring a broader set of library resources. For universities, this can bring cost savings and efficiencies. For students, it can provide expanded resources and more flexibility in transferring or taking courses elsewhere. The improved student retention within the Georgia system again provides a roadmap for how colleges might look for clearly-defined successes. Russell explains that, due to the consolidation efforts, "Georgia could change policies that had been status quo for a long time. Because they were rethinking advising, they were able to change policies and save costs, allowing them to hire more advisors" and achieve their retention objectives. The early win was not a major budget cut, but instead a reorganization of a critical service. John Hurley, President of Canisius College in Buffalo, points to the British model of Shared Services Corporations as a creative approach to back-office consolidation. To simply agree to establish such an organization would be an early win. Academic cooperation, such as faculty exchanges and cross-listing courses between institutions, could and should come next. Similarly, small- and medium-sized colleges can undertake collectively what would otherwise be cost-prohibitive academic programs, drawing special attention to professional master's degree in high-demand fields such as data analytics and computer science. Selingo suggests that schools might need financial incentives from foundations or donors to manage the capital outlays required to launch the first-stage endeavors. Canisius' Hurley cites two significant challenges for national networking: First, local dynamics such as state law and regional accreditation require nuanced parsing; and second, the relative novelty of the problems in higher education means that expertise is still somewhat limited. To account for these, he emphasizes the importance of developing trust across institutions. "Senior leaders don't have to be nearby geographically, but it helps, and it helps to have real relationships,” he says. “It's not before administrators know each other, and can sit face-to-face in a room together, that anyone would start drawing up papers." Addressing the entrenched college culture, the Networked University should develop its own "history and DNA," Selingo says. As simple as this concept seems, it is likely the most difficult step of the three. The enduring success of a Networked University will rely on effective governance structures, including a board, protocols for institutional entry and exit, and a culture that outlasts the personalities of its founding leaders. Regarding the governance infrastructure, a nascent Networked University might look to the attorneys who have managed the roughly 200 one-to-one mergers, handling such aspects as confidentiality agreements, letters of intent, due diligence, regulatory filings, and definitive agreements. Regarding governance structures, the networked entity would need to settle board seat size and allocation, subcommittee design, and term limiting. The ability for the new institution's culture to outlast its founders will depend on the trust established throughout the process. The decline in public funding and corresponding increase in student borrowing is undermining support for our colleges and universities. At the same time, automation, competition from online self-learning, and privately sponsored research threaten to disrupt the organizational structure at traditional American colleges. New models are needed to both reduce the cost of higher education and increase the quality of education and research. The Networked University may be one such model. 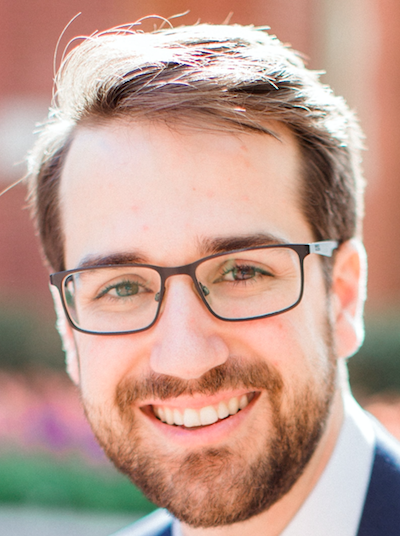 Patrick Nolan is an Institutional Research Analyst at Georgetown University, Quantitative Researcher with the Georgetown Hub, and a higher education Data Analytics Fellow with the Deloitte Foundation.